This week we donated $5,000 to Susan G. Komen Coastal Georgia! Every year we raise money for this important cause through the sale of our pink reusable coffee mugs. 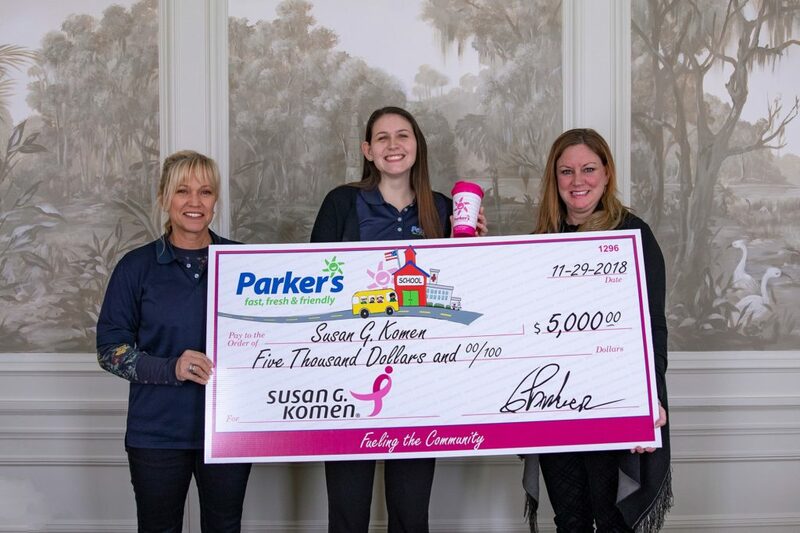 Parker’s team members, Karen Kendall Richards and Brittany Rehan, presented the big check to Julie Schwartz from Susan G. Komen Coastal Georgia.